Dive deep into the secrets of ancient blue. Indigo, a truly living color, requires cultivation and human interaction in order to transform from green plant to blue dye. An alchemy of water, friction, heat and oxygen come together to produce a color nearly unachievable by any other process. This workshop focuses on “vatting,” a process unique to indigo. 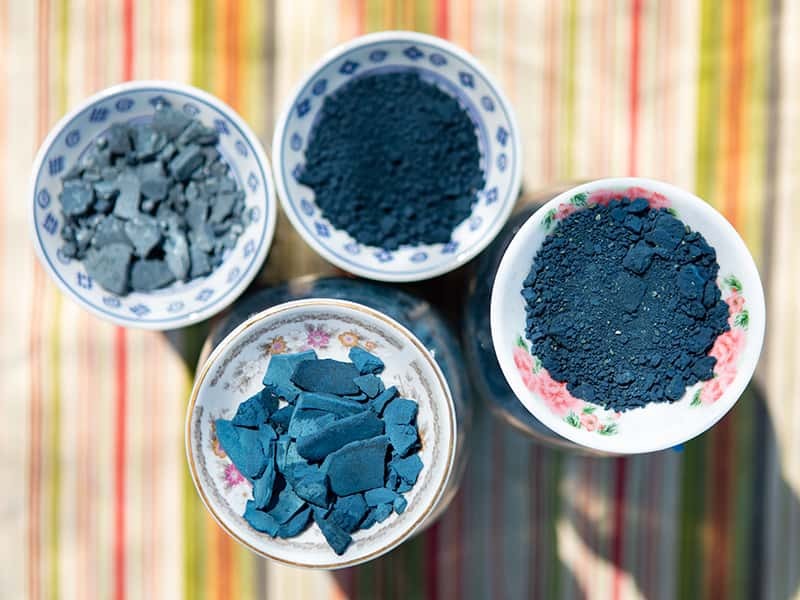 Indigo enthusiast and textile artist, Britt Boles will guide students through three different reduced vatting techniques, as students explore the myriad of blue hues this plant pigment offers. Britt will demo vat making and students will dip fibers into 3 different organic indigo vats to develop deep palette of distinct blues. rich colors. Students will leave with indigo sampler swatches, a hand-dyed scarf, recipes, and an instructional craftbook.